DELL TERAS TIP OF GOLD (Imp USA) 32.5"
Ready's Sire is the sire of the winners of over 50 Supreme Champions and his Dam is the Dam of Runner-Up Supreme Champions and the Grandam of many Supreme Champions, including Horse of the Year x 2. 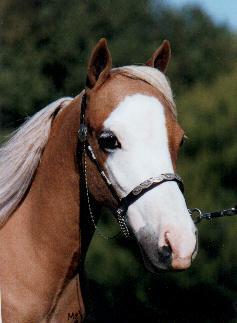 2007 Reserve National Grand Champion Senior Stallion and National Champion Senior Stallion. From limited showings he is a Multi-Champion and Multi-Reserve Champion in Halter (never unplaced). 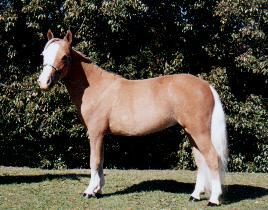 He won his class at the NZAMHA Show and was the Auckland Miniature Horse Club Hi-Point Yearling Colt. Every foal his mother has produced has had face white and most have had socks so we are hopeful Ready will also be good at producing colour. 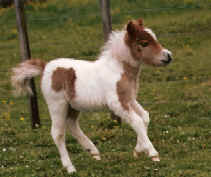 See his sire and dam on this site. 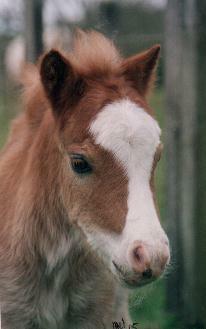 Ready or Not has now produced 4 foals, 3 of the 4 have had face white. Two are pictured below.